Rhododendron luteum belongs to the genus Rhododendron, members of which are frequently used in folk medicine. Various studies have investigated the cytotoxic effect of different Rhododendron species, but there have been limited studies of the cytotoxic effect of R. luteum. The aim of this study was to investigate the antioxidant properties and cytotoxic effect of R. luteum leaf extract on the human cancer cells. The total phenolic content (TPC), total flavonoid content (TFC), and reducing power of the extract were evaluated using spectrophotometric procedures. The cytotoxic effect of the extract on five cancers (human breast, colon, lung, prostate, and liver carcinoma) and human fibroblast cells was determined using the MTT assay. TPC and reducing power values of extract were found 173.2±3.97 mg gallic acid equivalents, and 629.5±3.49 mg trolox equivalents per to g sample, respectively. R. luteum leaf extract exhibited selective cytotoxicity especially against colon (1.9 fold) and liver (2.2 fold) cancer cells compared to normal fibroblast cells. This is the first study to reveal the antiproliferative effect of R. luteum leaf extract. Further studies are now needed to identify the cytotoxic molecules in the extract and their mechanisms. Rhododendron luteum, Rhododendron cinsine dahil bir bitki olup, bu cinse ait bitkiler geleneksel tedavide sıklıkla kullanılmaktadır. Rhododendron türlerinin sitotoksik etkilerini araştıran çok sayıda çalışma olmasına rağmen, R. luteum türünün sitotoksik etkilerini inceleyen çalışmalar sınırlıdır. Bu çalışmanın amacı R. luteum yaprak ekstraktının antioksidan özelliklerini ve insan kanser hücreleri üzerindeki sitotoksik etkisini araştırmaktır. Ekstraktın toplam fenolik içeriği (TPC), toplam flavonoid içeriği (TFC) ve indirgeyici gücü spektrofotometrik prosedürler kullanılarak değerlendirildi. Ekstraktın beş kanser (insan meme, kolon, akciğer, prostat ve karaciğer karsinomu) ve insan fibroblast hücreleri üzerindeki sitotoksik etkisi MTT analizi kullanılarak belirlendi. Ekstraktın TPC ve indirgeyici güç değerleri g örnek başına sırasıyla 173.2±3.97 mg gallik asit eşdeğeri ve 629.5±3.49 mg troloks eşdeğeri olarak bulundu. R. luteum yaprak ekstraktı normal fibroblast hücrelerine kıyasla özellikle kolon (1.9 kat) ve karaciğer (2.2 kat) kanser hücrelerine karşı seçici sitotoksisite sergiledi. Bu çalışma R. luteum yaprak ekstraktının antiproliferatif etkisini ortaya koyan ilk çalışmadır. Ekstraktta bulunan sitotoksik moleküllerin tanımlanması ve etki mekanizmalarının belirlenmesi için daha kapsamlı çalışmalara ihtiyaç vardır. Ali S, Nisar M, Qaisar M, Khan A, Khan AA, 2017. Evaluation of the cytotoxic potential of a new pentacyclic triterpene from Rhododendron arboreum stem bark. Pharm Biol, 55(1): 1927-1930. Aliyazicioglu R, Demir S, Badem M, Sener SO, Korkmaz N, Ayazoglu Demir E, Ozgen U, Alpay Karaoglu S, Aliyazicioglu Y, 2017. Antioxidant, antigenotoxic, antimicrobial activities and phytochemical analysis of Dianthus carmelitarum. Rec Nat Prod, 11(3): 270-284. Bilir EK, Tutun H, Sevı̇n S, Kısmalı G, Yarsan E, 2018. Cytotoxic effects of Rhododendron ponticum L. extract on prostate carcinoma and adenocarcinoma cell line (DU145, PC3). Kafkas Univ Vet Fak Derg, 24(3): 451-457. Byun KS, Lee YW, Jin HJ, Lee MK, Lee HY, Lee KJ, Heo MY, Yu CY, Lee JH, 2005. Genotoxicity and cytotoxicity in human cancer and normal cell lines of the extracts of Rhododendron brachycarpum D. Don leaves. Korean J Medicinal Crop Sci, 13(4): 199-205. Demir S, Turan I, Aliyazicioglu Y, 2016a. Selective cytotoxic effect of Rhododendron luteum extract on human colon and liver cancer cells. J BUON, 21(4): 883-888. Demir S, Aliyazicioglu Y, Turan I, Misir S, Mentese A, Yaman SO, Akbulut K, Kilinc K, Deger O, 2016b. Antiproliferative and proapoptotic activity of Turkish propolis on human lung cancer cell line. Nutr Cancer, 68(1): 165-172. Demir S, Turan I, Demir F, Ayazoglu Demir E, Aliyazicioglu Y, 2017. Cytotoxic effect of Laurocerasus officinalis extract on human cancer cell lines. Marmara Pharm J, 21: 121-126. Jang GU, Choi SU, Lee KR, 2005. Cytotoxic constituents of Rhododendron brachycarpum. Yakhak Hoechi, 49: 244-248. Jing L, Ma H, Fan P, Gao R, Jia Z, 2015. Antioxidant potential, total phenolic and total flavonoid contents of Rhododendron anthopogonoides and its protective effect on hypoxia-induced injury in PC12 cells. BMC Complement Altern Med, 15: 287, DOI: 10.1186/s12906-015-0820-3. Lee SH, Sancheti SA, Bafna MR, Sancheti SS, Seo SY, 2011. Acetylcholineterase inhibitory and antioxidant properties of Rhododendron yedoense var. Poukhanense bark. J Med Plants Res, 5(2): 248-254. Li FR, Yu FX, Yao ST, Si YH, Zhang W, Gao LL, 2012. Hyperin extracted from Manchurian Rhododendron leaf induces apoptosis in human endometrial cancer cells through a mitochondrial pathway. Asian Pac J Cancer Prev, 13: 3653-3656. Lin CY, Lin LC, Ho ST, Tung YT, Tseng YH, Wu JH, 2014. Antioxidant activities and phytochemicals of leaf extracts from 10 native Rhododendron species in Taiwan. Evid Based Complementary Altern Med, Article ID: 283938, DOI: 10.1155/2014/283938. ManiKumar P, Pardhu G, Ravinder S, Lakshmi V, Tejaswini K, Vishwanath Pradeep B, 2011. Phytochemical screening, antimicrobial and antiproliferative properties of Rhododendron ponticum on prostate epithelial cancer cells. J Pharm Sci & Res, 3(11): 1552-1555. Moreno MI, Isla MI, Sampietro AR, Vattuone MA, 2000. Comparison of the free radical- scavenging activity of propolis from several regions of Argentina. J Ethnopharmacol, 71(1-2): 109-114. Mosmann T, 1983. Rapid colorimetric assay for cellular growth and survival: application to proliferation and cytotoxicity assays. J Immunol Methods, 65: 55-63. Nema R, Khare S, Jain P, Pradhan A, Gupta A, Singh D, 2013. Natural products potential and scope for modern cancer research. AJPS, 4: 1270-1277. Niedzwiecki A, Roomi MW, Kalinovsky T, Rath M, 2016. Anticancer efficacy of polyphenols and their combinations. Nutrients, 8: 552, DOI:10.3390/nu8090552. Oyaizu M, 1986. Studies on product of browning reaction prepared from glucoseamine. Jpn J Nutr, 44: 307-315. Ozkan MT, Aliyazicioglu R, Demir S, Misir S, Turan I, Yildirmis S, Aliyazicioglu Y, 2017. Phenolic characterisation and antioxidant activity of Primula vulgaris and its antigenotoxic effect on fibroblast cells. Jundishapur J Nat Pharm Prod, 12(1): e40073, DOI: 10.5812/jjnpp.40073. Park YH, Kim SM, 2008. Composition and cytotoxicity of essential oil from Korean Rhododendron (Rhododendon mucronulatum Turcz. var. ciliatum Nakai). J Korean Soc Appl Biol Chem, 51: 233-237. Popescu R, Kopp B, 2013. The genus Rhododendron: An ethnopharmacological and toxicological review. J Ethnopharmacol, 147: 42-62. Prakash O, Kumar A, Kumar P, Ajeet, 2013. Anticancer potential of plants and natural products: A review. Am J Pharmacol Sci, 1(6): 104-115. Qiang Y, Zhou B, Gao K, 2011. Chemical constituents of plants from the genus Rhododendron. Chem Biodivers, 8: 792-815. Rayan A, Raiyn J, Falah M, 2017. Nature is the best source of anticancer drugs: Indexing natural products for their anticancer bioactivity. PlosOne, 12(11): e0187925, DOI: 10.1371/journal.pone.0187925. Russo GL, Tedesco I, Spagnuolo C, Russo M, 2017. Antioxidant polyphenols in cancer treatment: Friend, foe or foil? Semin Cancer Biol, 46: 1-13. Seephonkai P, Popescu R, Zehl M, Krupitza G, Urban E, Kopp B, 2011. Ferruginenes A-C from Rhododendron ferrugineum and their cytotoxic evaluation. J Nat Prod, 74: 712-717. Slinkard K, Singleton VL, 1977. Total phenol analyses: automation and comparison with manual methods. Am J Enol Viticult, 28: 49-55. Taraphdar AK, Roy M, Bhattacharya RK, 2001. Natural products as inducers of apoptosis: Implication for cancer therapy and prevention. Current Science, 80(11): 1387-1396. Way TD, Tsai SJ, Wang CM, Ho CT, Chou CH, 2014. Chemical constituents of Rhododendron formosanum show pronounced growth inhibitory effect on non-small-cell lung carcinoma cells. J Agric Food Chem, 62: 875-884. Yaylaci F, Kolayli S, Kucuk M, Karaoglu Alpay S, Ulusoy E, 2007. Biological activities of trunk bark extracts of five tree species from Anatolia, Turkey. Asian J Chem, 19(3): 2241-2256. Yuan R, Hou Y, Sun W, Yu J, Liu X, Niu Y, Lu JJ, Chen X, 2017. Natural products to prevent drug resistance in cancer chemotherapy: a review. Ann N Y Acad Sci, 1401: 19-27. Zhou Y, Zheng J, Li Y, Xu DP, Li S, Chen YM, Li HB, 2016. Natural polyphenols for prevention and treatment of cancer. 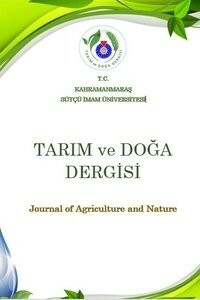 Nutrients, 8: 515, DOI:10.3390/nu8080515.